"Guandu Nature Park" is a low - lying land area located southwest of the Guandu Plain in Taipei Basin, where the Keelung River joins the Tamsui River. The main environments of the park are freshwater ponds, brackish ponds, swamps, rice paddies and mounds. Because of the diverse ecological environment, the area is home to numerous varieties of animals and plants. The Guandu Park was established to help preserve the precious natural resources of this land. The area of the park is about 57 hectares, including the main facility area, core reserved area, and the outdoor observation area. With the aid of wooden trails, bird - watching cabins and tour guides, Guandu Nature Park will open the gateway to nature and allow you to experience the natural world close up. 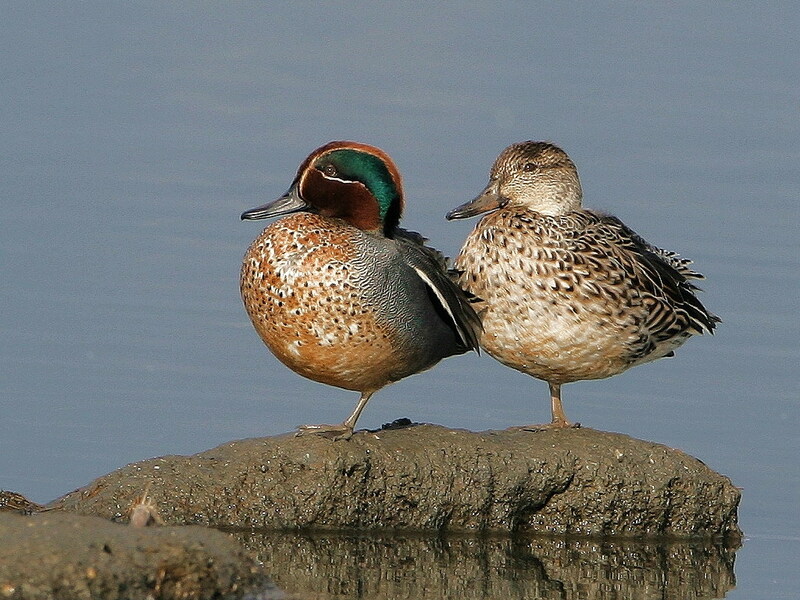 After years of effort spent, finally on December 1, 2001, the Wild Bird Society of Taipei was entrusted by the Taipei City Government with the authority to manage the park; becoming the first nonprofit organization to do so. This is an excellent example of a governmental organization and a civic organization working together to achieve environmental preservation as well as public education. After enjoying the beauty of the park, we hope that you will join us in cherishing and protecting this natural wetland. The nature center serves as the information center, exhibition center, research center, and the service center of the park. On the first floor are the biological display, auditorium, and presentation room and gift shop. On the second floor are the observatory bird watching area, special exhibition area, classroom, and the refreshments area. 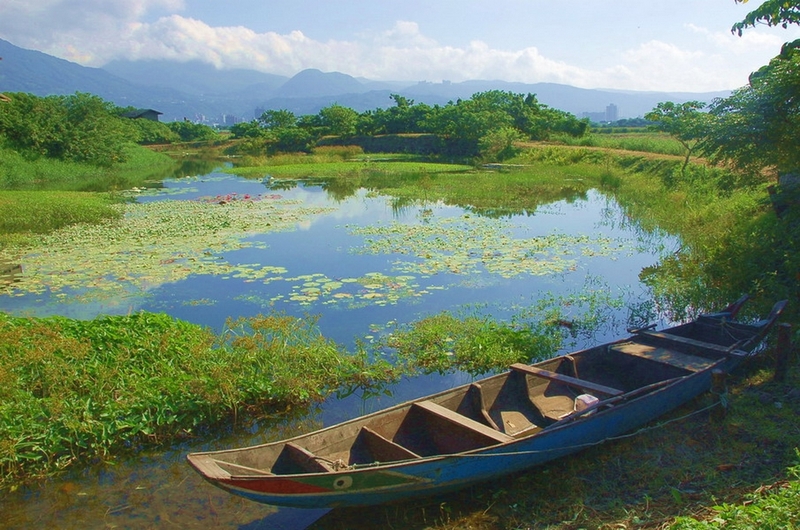 The major function of the center is to promote education about wetland ecological systems. Activities such as guided tours, multi-media shows, special exhibitions, lectures, tutoring, and consultations are arranged on a regular basis. The various aquatic plants and water-tolerant plants along the shallow Quitzekeng River form the typical riverside landscape of a wetland. Influenced by the ebb and flow of the tides, fishes and animals that have adapted to seawater are dominant in this area. Birds also feed and rest along the riverside. Nat'l Hwy 1 → Exit to Taipei Interchange → Prov. Hwy 2B → Guandu Rd. Take THSR or TRA to Taipei Station, transfer Taipei MRT to Guandu Station, transfer Taipei City Bus (No. Red 35, Small 23) to Guandu Nature Park Stop. Over 200 species of wild birds can be found in Taipei area alone, and the park is one of the best place in Taiwan for bird watching. Multilingual Services: the park provides printed information in Chinese, English and Japanese, and reservations can be made in advance for an English-speaking guide.